I recently read an article claiming that this month’s full lunar eclipse occurring on July 27 is being used as an indicator of the end times by some evangelical ministers. It got me thinking about eclipses and why they’re so significant. This isn’t the first time that astrological events have caused a panic, and I’m sure it won’t be the last. As usual, I dove back in time for some answers. We know that our ancient ancestors had an extensive knowledge of the astrological movements. It has been proven by hard science that many ancient monuments such as Stonehenge and Newgrange are aligned to astral events such as the solstices. So it’s no surprise that events like eclipses would have been seen as very important and major events. And despite the incredible knowledge the ancients possessed, they most likely did not understand the scientific reasoning behind such events. Furthermore, the rising of the sun each day was incredibly important to ancient peoples. We can find evidence for this in the fact that almost every civilization on Earth has some version of a solar deity-Amun-Re, Apollo, Lugh, and Sol just to name a few of the more well known. Check out this Wiki page to see a more extensive list if you’re interested! So just imagine the horror and awe that must have been felt when the sun or moon was obstructed by another celestial body. Since they couldn’t explain it, ancient peoples sought answers from the gods. Many cultures interpreted a solar eclipse as the sun or moon being consumed by some kind of demon. In ancient China this being was a dragon and in ancient India, it was a vengeful demigod named Rahu. Others, such as the ancient Greeks, viewed eclipses as a sign of impending doom and abandonment by the gods. During the Middle Ages, however, is when we first see eclipses linked to doomsday prophecies. After Europe converted to Christianity, the return of Christ become an event that incited terrible fear from the common folk. Prophets would speak of the coming of the Antichrist and the events spoken of in the Book of Revelations. There would be signs and portents of things to come. One of these ‘signs’ was eclipses. “When the eclipse of the Sun will then be, The monster will be seen in full day: Quite otherwise will one interpret it, High price unguarded: none will have foreseen it.” – Century 3, Number 34. 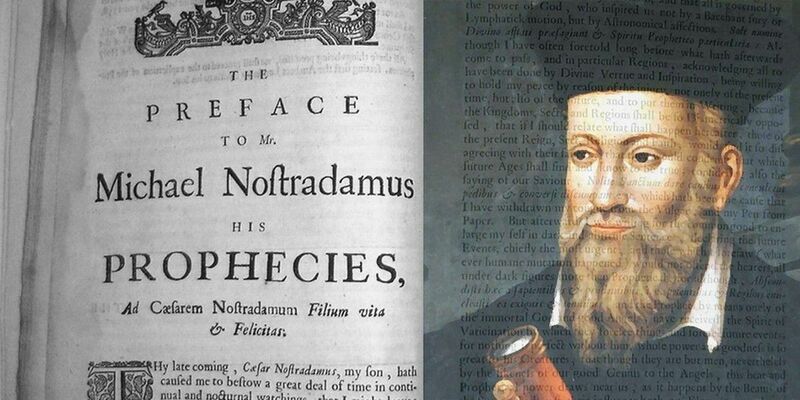 Nostradamus and his prophecies, image from Google search. Fast forward then to 2018, what do I make of all these ‘doomsday’ predictions? I think they’re a powerful propaganda tool used to incite fear and drive revenue. Because, come on, if the world is ending tomorrow, who needs a savings account? As a witch, I view eclipses as powerful astrological events. I don’t think, however, that they are hard, concrete predictors of events. People will always look to the stars for guidance but in my opinion, astrological trends are just that- trends. Previous how do you worship the gods when they’re in a museum?